All The Live Long Day: Wedding Month Giveaway! Hey, Wedding Month was nice! And it sure made the time pass quickly while I was waiting for Marco's and my first wedding anniversary, which will be on Sunday! We don't have anything extravagant planned, we will go out for lunch at a really cool restaurant to have some fancy food and probably to reminisce a lot about the wedding and our first year as husband and wife. I can't promise you that I won't mention my wedding ever again, but for now I am looking forward to switching out of bridal mode and showing you what else I have been up to! So, thanks to everybody for your positive comments and for sticking around while I was waxing lyrical about love and marriage. I hope you enjoyed yourselves a bit, too. 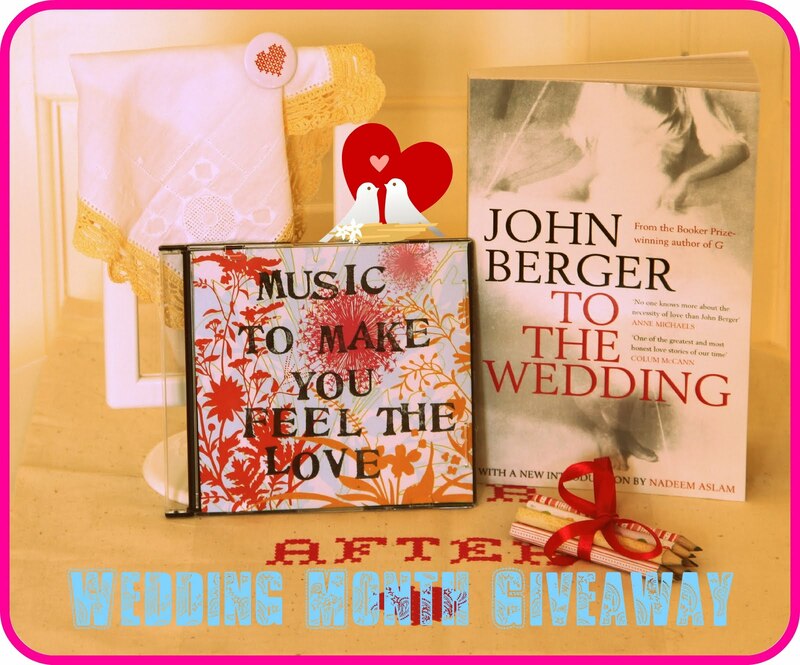 And to thank you for your attendance I give you: THE WEDDING MONTH GIVEAWAY! And I am giving away all of this not once, but twice. Yes, there will be two winners! Yay! One of you will win all these items, and another one of you will win much of the same, just with a different colour hankie and bag. Deal? Okay! Check below the picture on how to enter. Entry is open to anyone in the whole wide world. It would be fab if you were also a follower of my blog, but I won't shout at you if you aren't. To enter, leave a comment on this post, telling me what LOVE means to you. For one additional entry, tell people about this giveaway on your blog. Leave me the link in a separate comment if you do, and that's that. Please make sure that your email address is linked to your profile (or that you leave it in your comment), so that I have a means to contact you in case you win! The giveaway will be open until Saturday, 27 August, 23:59 GMT. I will draw the two winners from all valid comments on the Sunday and announce them on Monday, 29 August. Good luck and have a lovely weekend! This is an adorable giveaway! Pick me!! I believe that love is committment--that I choose this person no matter what, forever. I love how I feel with my husband, but I really feel loved because I know he and I have made the choice to stick together through easy times and hard times whether we feel like it or not. 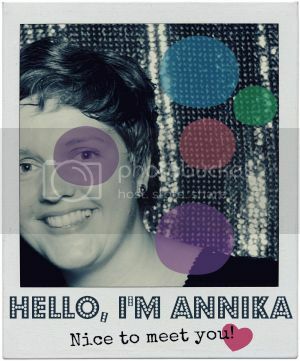 What a lovely giveaway Annika! So many wonderful pieces about love. Love can mean so many things to so many people. However, I guess, love means to me...complete acceptance, compassion and commitment to that spirit and person. My first love, God. Next in line, my man! It's unconditional. It's communication, trust, committment, and honesty.